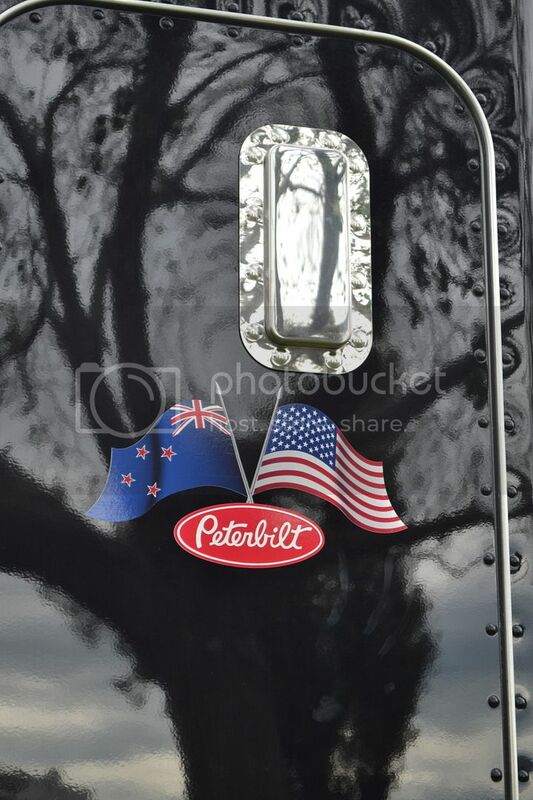 The final selection of photos from the Palmerston North event. 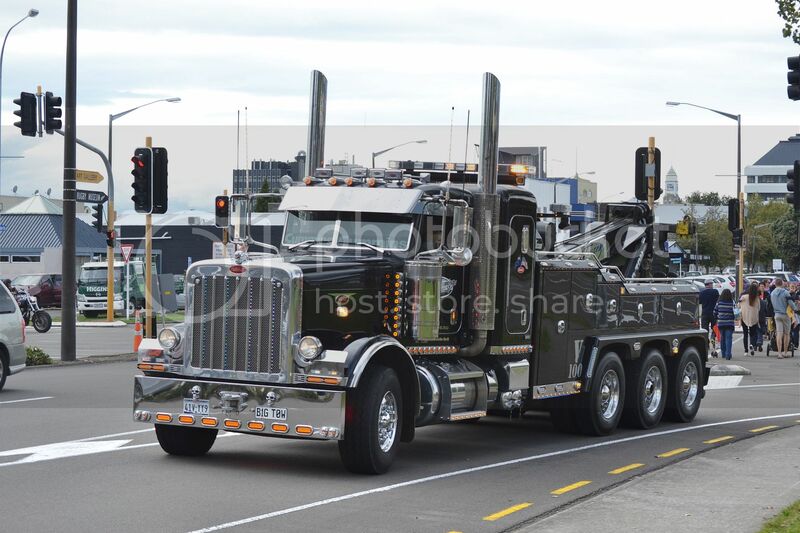 This is the first time I had viewed the 2012 Peterbilt 388 of Palmerston North company Truck Towing. 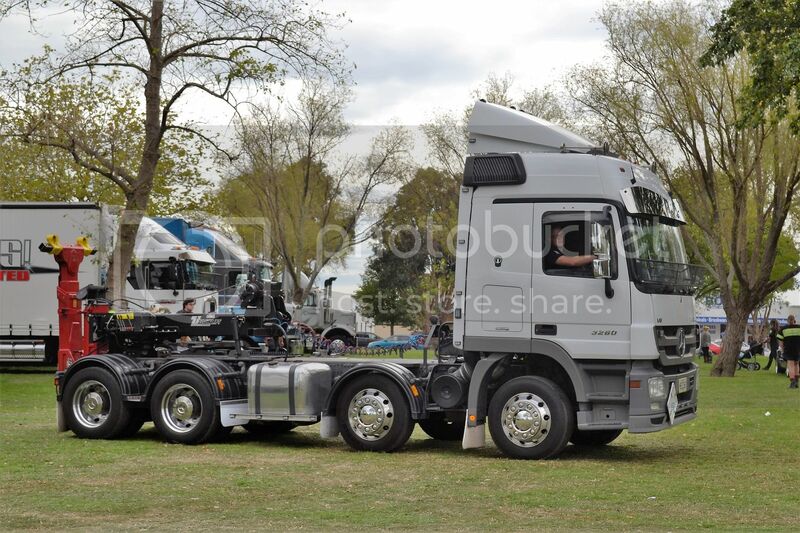 It is a magnificent beast and I feel, worthy of more than one photo. 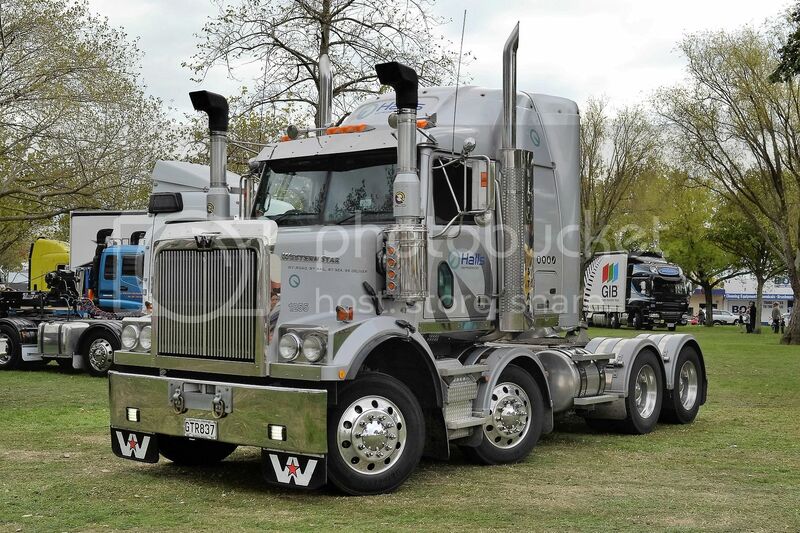 2008 Kenworth K108 has a big sleeper. 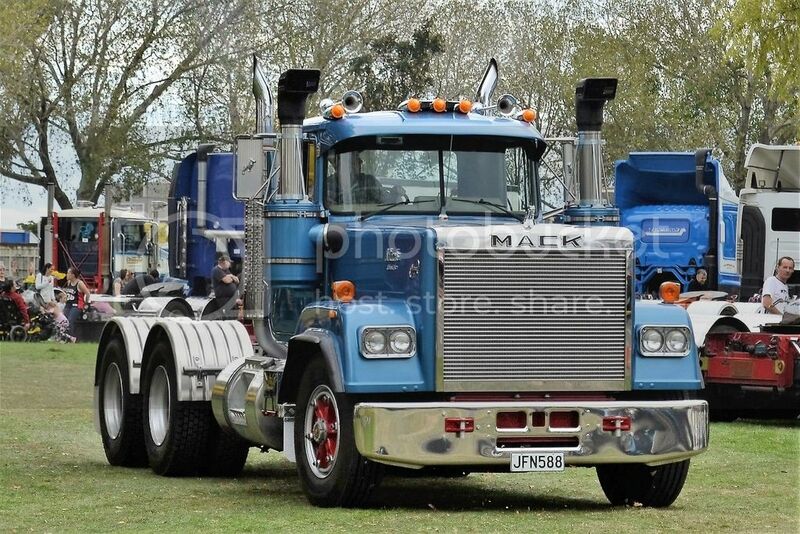 MTD's 1986 Mack Superliner is a superb restoration. 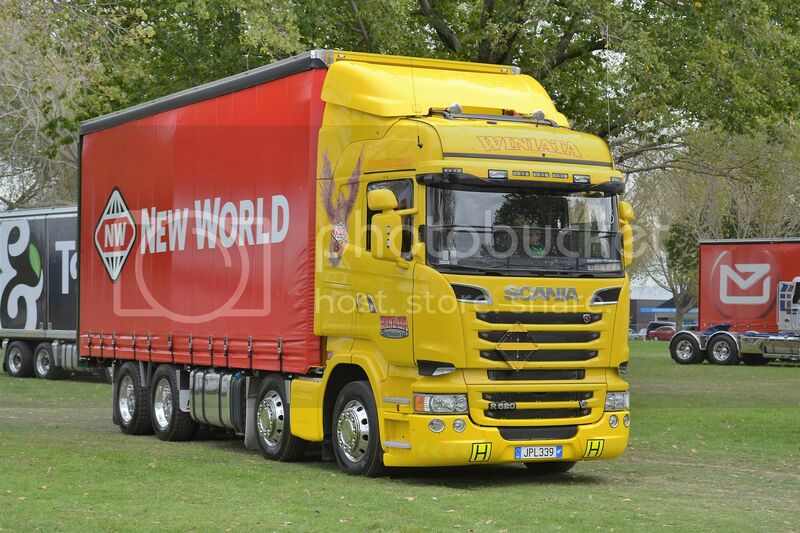 Scania R620 has only been on the road for a couple of months and hauls foodstuffs for Foodstuff's New World supermarkets. 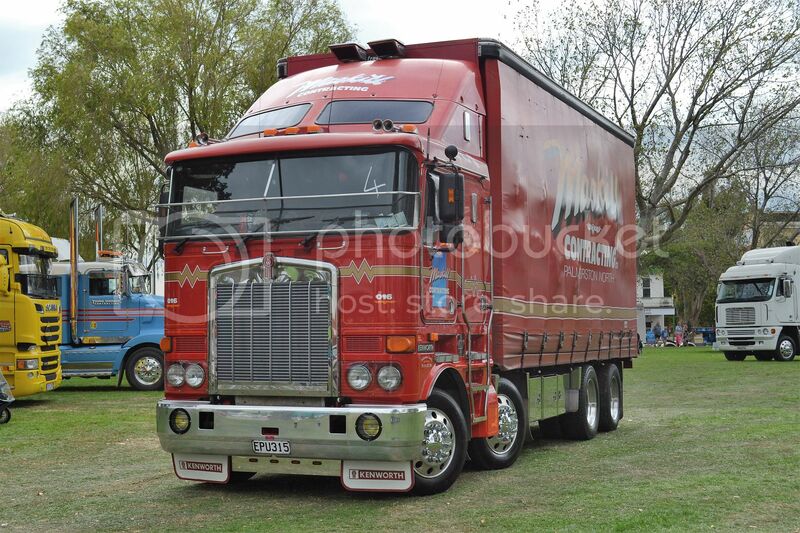 Smart Kenworth of Northchill of Pukekohe. 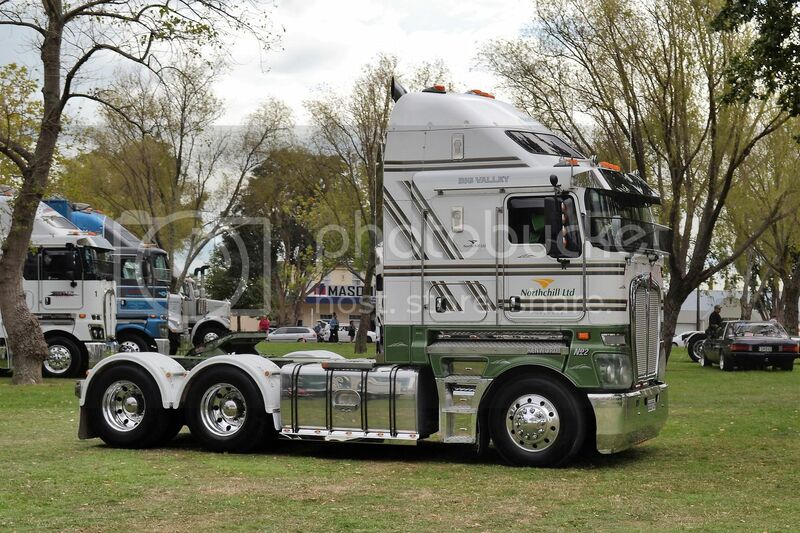 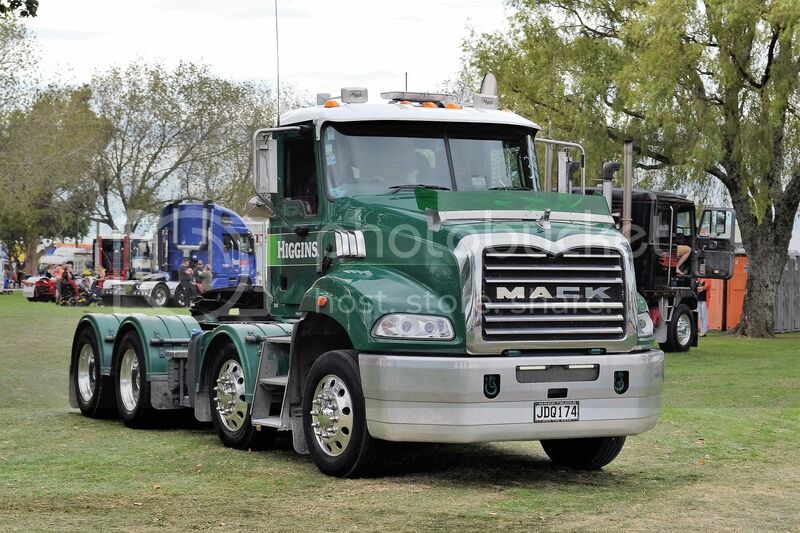 Maskill Contracting of Palmerston North had a, well used and well cared for, 2008 Kenworth present. 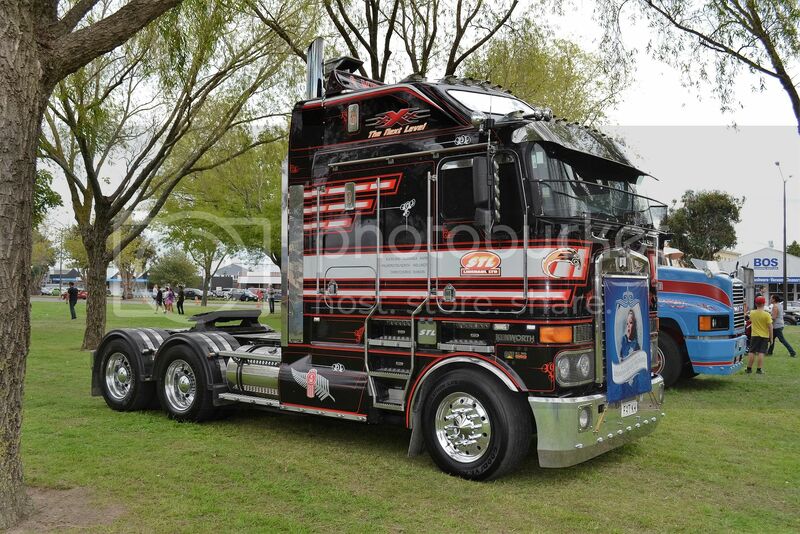 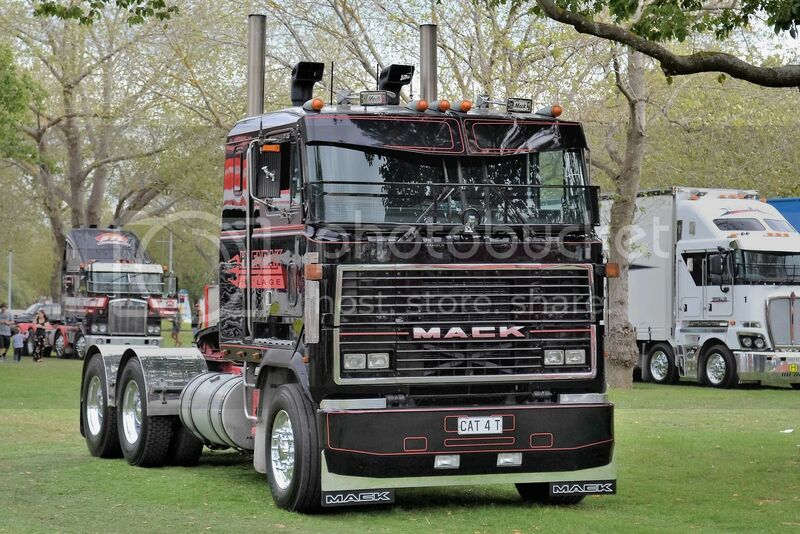 Gloss black with red highlights suits the 1990 Mack Ultraliner. 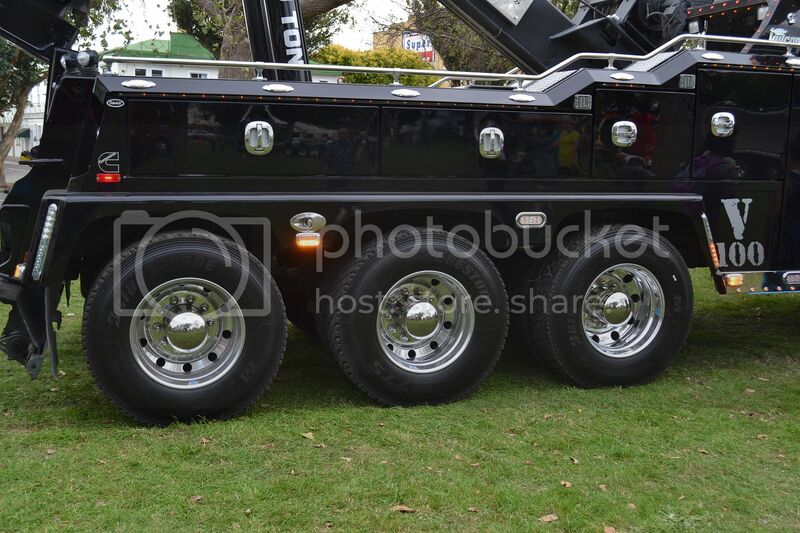 Mercedes Benz 3260 has a removable recovery hoist attached to the fifth wheel. 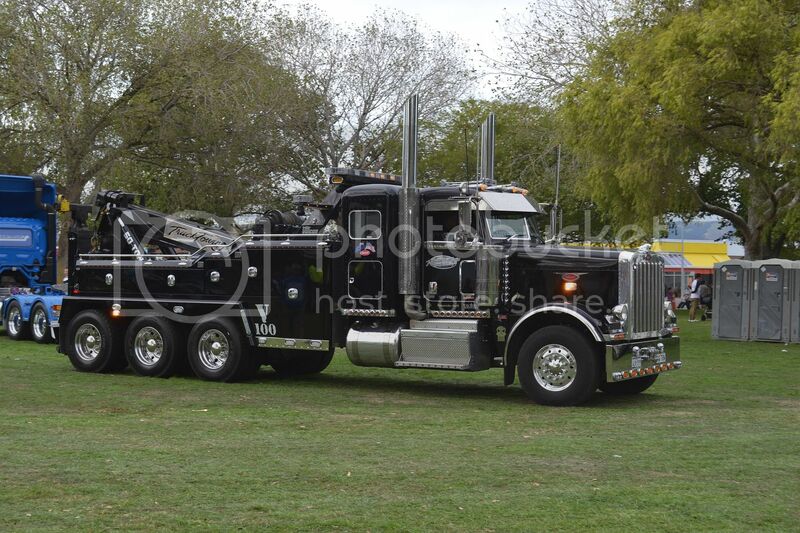 8 wheeler 2013 Western Star tractor hauls for Halls. 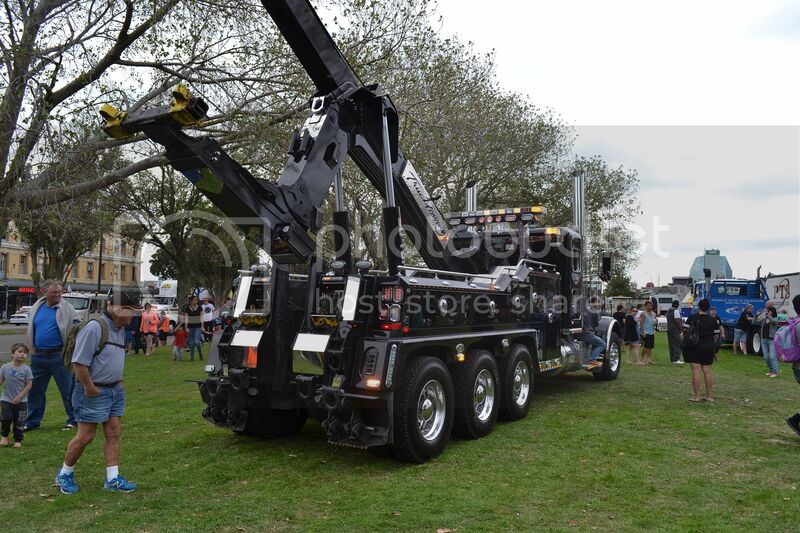 This time a 2015 Granite.